Greenlaw "Fritz" Grupe, Jr. founded The Grupe Company in 1966. For over 25 years, the company has built, for more than 50,000 people, sale and rental housing; and over one million square feet of office and commercial space with a total value of over $2 billion. The long-term appeal of these properties has been enhanced by the creation of 400 acres of lakes, water features, a 625 covered slip marina, wildlife habitats, schools, parks and open space. In the process, The Grupe Company has become one of the largest privately held real estate companies in the United States. It has developed amenity-oriented master-planned communities in California. The Grupe Company looks for opportunities to make the communities in which it builds even better places to live. The company's County Fair held at the Grupe home on Brookside Farm is one of the largest fund raisers in Northern California, returning more than $1 million to local and national charities and nonprofit organizations. 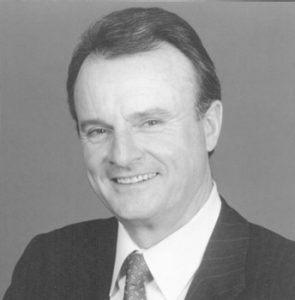 Fritz Grupe founded the San Joaquin County Business Council and was a Past President of the Urban Land Institute. Fritz was a former Chapter Chairman and National University Chairman for The Young Presidents' Organization. He was also Past President of the Stockton Chamber of Commerce and Board of Realtors. Mr. Grupe served on President Bush's Special Commission on Regulatory Barriers to Affordable Housing, the Advisory Board of the Center for Real Estate and Urban Economics at the University of California, Berkeley, and was a Regent for the University of the Pacific in Stockton, California. ​Through communities, charitable activities and public service, Fritz Grupe, his family and his company demonstrated commitment to enhancing the quality of life in and where the company operates.